Don’t you hate it when you finally find the store that sells jeans that actually fit your shape – and it goes out of business. Or you finally find the perfect shade of concealer that does not make you look like an outpatient at the jaundice clinic – and the company discontinues that particular shade. Or you find a versatile, affordable food that you truly love and can’t get enough of… only to find out it causes cancer in rats; or that producing it decimates the rain forests – or that eating it is wiping out a species? That’s pretty much the case with Atlantic cod, a fish with which Britain has had an extremely protracted love affair in the shape of classic fish and chips. As a result of over-enthusiastic commercial fishing and bad fisheries management over decades, the Atlantic cod population went into steep decline and these days ordering cod on a menu is nearly as fraught with ethical dilemmas as ordering foie gras. But wait – there is a flicker of hope! Although Atlantic cod populations are severely under stress, cod stocks in other places are healthier because of better management and more sustainable fishing methods – other places like Norway. Up to two-thirds of the fish caught in some European waters are thrown back into the sea dead because of the way the EU’s common fisheries policy and quota system works. But over 25 years ago, Norway introduced a ban on fish discards and as a result, cod stocks have recovered. So if you can find Norwegian cod, feel free to buy with a clear conscience! But if you want to be in for a real treat, ask your fishmonger to get you some Skrei. Skrei has been certified by the MSC and has only reached the UK shores in the last couple of years, but has already been enthusiastically received by chefs and diners alike. So is it any different to the cod you are used to? For a start, it is a beautiful fish with a glistening, speckled skin and thick, juicy flakes of translucent flesh, separated by distinct layers of fat. When cooked, it is this fat that melts and allows the flakes to, well, flake! To me, the difference in taste between any old supermarket cod and Skrei is like the difference between a standard beef steak and Wagyu beef: it’s cod, just a little richer in texture and somehow cleaner in taste. When the Norwegian Seafood Council recently sent me some Skrei to try, I wanted to be sure to taste the fish itself as much as possible, so I wanted to keep it simple – maybe just a spice rub and then a pan fry. This is where NoMU comes in – one of my favourite South African brands and maker of wonderful hot chocolates, fonds and fine spice blends, including the Cajun rub that I used. Unlike some Cajun blends, this one is chunky, is not overloaded with salt, and has a real spicy bite – a perfect partner for the sweet, firm flesh of the Skrei. A little bird also tells me that after years of being pestered to do a cookbook, NoMU has recently launched a rather novel concept. They did not want a static recipe book that gets read once and then sits on the shelf – instead, they wanted something more interactive and collectible. The result is the NoMU Recipe Box – a modern interpretation of the Rollodex-type card index that our mothers had in their kitchen cupboards. Your box comes packed with 48 recipe cards and dividers (starters, mains, desserts, snacks etc. ), and top-up extra recipes will be sold according to the existing divider sections and refreshed every three months (for about ZAR35). So every 3 months you can get all new recipes, collect them, or even swap them with friends. Clever, clever NoMU! At the back of every top up pack will be a colour-coded mystery card in four different colours, packed in randomly so you never know which card you might get with each top up pack purchase. Collect all four colour and send them in to NoMU to stand to win a huge prize (the April prize is a SMEG cooker, and the June prize is rumoured to be bigger!). NoMU have kindly agreed to donate one recipe box as a prize to my readers, and they are willing to ship anywhere in the world. THIS GIVEAWAY IS NOW CLOSED. THE WINNER WAS DAWN WALLENKAMP – CONGRATULATIONS, DAWN! 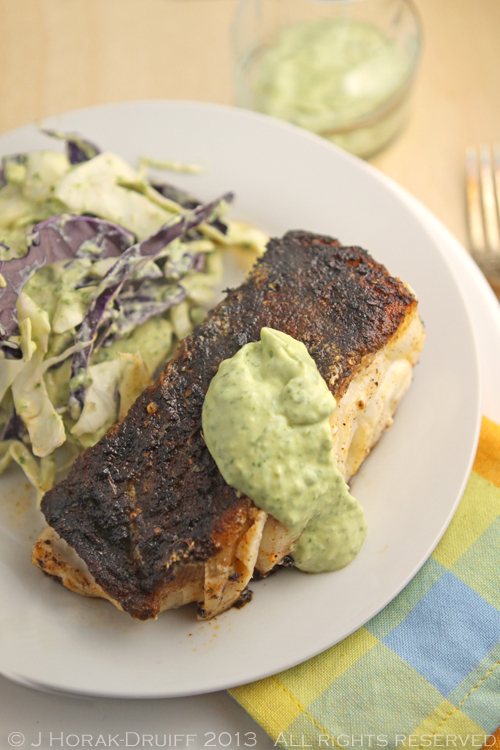 This super simple recipe shows off a great piece of fish, while the spicy bite of the Cajun spice is perfectly balanced by the cool avocado dressing. Prepare the dressing first. Halve and stone the avocado and scoop spoonfuls of the flesh into a blender. Add all the other ingredients except the salt and pulse until the herbs are all chopped and all ingredients are mixed into a creamy consistency. Add a little more buttermilk if you want a runnier texture. Add salt to taste, mix thoroughly and set aside. Rinse the fish off and pat dry. Brush the skin side with a little olive oil and then coat generously with Cajun spice rub, pressing it on with your fingers. Heat a small amount of olive oil in a non-stick pan and when it is hot enough to sizzle, add the fish, skin side down. While the skin side is cooking, brush the top with oil and cover with Cajun spice rub. Cook on the skin side for 3-4 minutes (there will be smoke - don't be alarmed! This is from the spices blackening), then using tongs, carefully turn the fish over and cook on the other side for a further 3-4 minutes (depends how thick your fish is and mine was pretty thick). Once cooked, serve immediately, skin side up, with a dollop of the avocado dressing. I served this with a crunchy mixed cabbage slaw, dressed with the same avocado mixture. 1. This giveaway is open to readers all over the world aged 18 years or older. 2. There will be a single prize in the form of a box of 48 NoMU recipe cards. 4. Entry will take place via Rafflecopter. Once you have completed your first entry and left me a comment confirming this in the comments section of this post, you will also have the option of submitting further entries via Twitter and Facebook, increasing your chances of winning. 7. The deadline for entries is midnight UK time on Wednesday 1 May 2013. 10. I am running this giveaway in good faith on behalf of NoMU but am not responsible in any way for the delivery of the prize, or from any loss or damages relating to the prize. Once I have announced the winner, any issue relating to the prize is a matter entirely between the winner and NoMU. I will not be responsible for any loss, damages or inconvenience related to the winner not receiving the prize, or to injuries or damages sustained in any way by either the winner or NoMU in connection with the prize. DISCLOSURE: NoMU is kindly donating the prize for this giveaway and I received free samples of Skrei for review purposes from the Norwegian Seafood Council, but I received no further remuneration for writing this post and all opinions are my own. Cod looks so delicious, a wonderful recipe. That looks yummy and I don’t even eat fish! Looks fantastic, both the cod and the Nomu prize! I’ve had a love/hate relationship with cod, ever since school dinners almost put me off the entire fish genus for life, but the way you describe it convinces me it’s a whole other creature than the sad boiled lumps of dry white flakes inflicted on us! I’ve entered the giveaway – I hope in all the right order. my favourite way to eat cod is to make a gin and tonic batter – really delicious 🙂 Thanks for the informative post Jeanne! 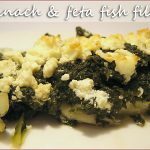 Absolutely love Cod fish and have it either baked, pan fried with lots of herbs and lemon juice,in a hearty casserole with chorizo or my family favourite of Bolinhos de Bacalhau (fish cakes). Love this…. looks super easy to make and absolutely delish!!!! I usually rub my own spice mix on the cod. Thanks!! 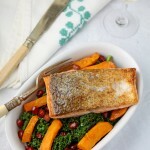 A wonderful fish dish and great spices! Love it. I love cod also chargrilled on a skillet with butter, pepper and lime. Lovely recipe! Also enjoy good old fashioned beer battered cod served with homemade chunky chips, mmmmm! Ooooh this fish looks soooo good. That Cajun rub looks amazing and I’ll bet it tastes wild on the cod (which we love here in France!) And the avocado dressing looks divine. Can I make this at home? I want to try this! Trying to restrain myself from licking the screen.. I can honestly say I have never tried cod so this recipe will have to be my new favorite way to eat it! I can’t remember whether I’ve eaten cod before. I love most fish pan fried with a crispy skin (what you’ve done in this recipe looks divine) or the old fashioned battered fish.